Atlantic City is an ideal destination for families at any time of the year, but a spring season getaway is ideal. 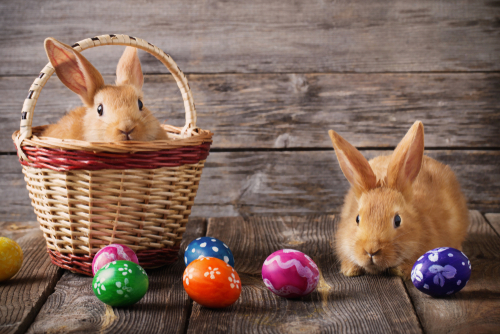 From spring break to the Easter holiday, there is an abundant array of fun and festive activities that will appeal to almost everyone, and three of our favorites are listed below. First, fall in love with the latest touring production of the “Sound of Music.” Coming to Caesars’ Circus Maximus Theater from April 16-21, this musical tale of the legendary Von Trapp family and its Tony-winning, Grammy-winning, and Academy Award-winning score will be a smash hit with the entire family. Next, put on your Easter bonnets and head over to the historic village of Smithfield for the Easter Parade. Stroll the avenue dressed in your best, and you may win a prize for best outfit! Lastly, return to the Circus Maximus for the Atlantic City Ballet’s presentation of “Sleeping Beauty” on April 28. Tchaikovsky's magnificent score, Phyllis Papa’s dazzling choreography, and guest appearances by other fairy tale characters such as Little Red Riding Hood and Puss in Boots all combine to create a truly enchanted experience.